Saluting Innovation at Babolat for introducing a "smart racket" that will improve a tennis player’s game. Babolat, a French tennis manufacturer, developed a racket with sensors in the handle to track and record performance. A wide range of data is collected; from type and number of strokes to power and the amount of spin on the ball. At the beginning of a match the player presses a button to connect to the Babolat Play app. The system will record every shot during play and store information that can later be downloaded via Bluetooth to a mobile phone or computer. Julia Goerges was the first player to use the racket at a major tournament this May during the French Open. 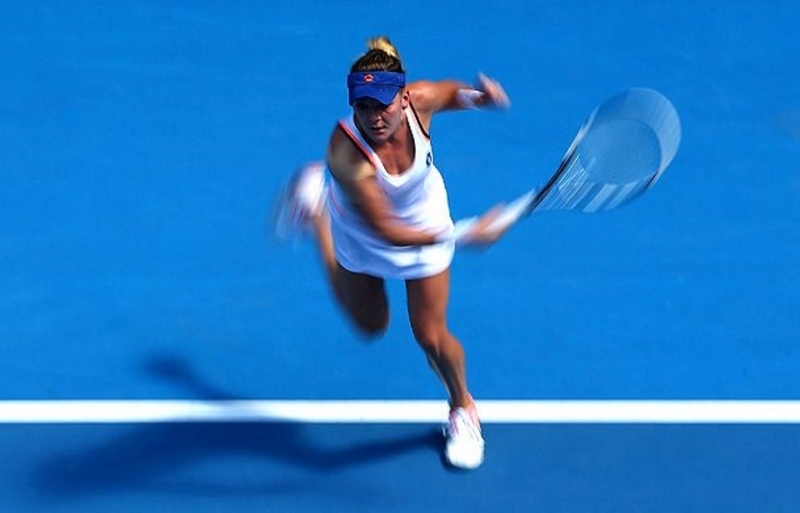 This created a buzz in the professional tennis scene. The racket is not magic and cannot help someone play better on the spot, but the hope is that it will help players pinpoint their strengths and weaknesses and, in turn, allow them to strengthen their game. For example, a player who might be working on hitting more topspin forehands or adding more power to their backhand could track their motions and progress. We salute Babolat for bringing inspiration and technological innovation to all generations of avid tennis players.